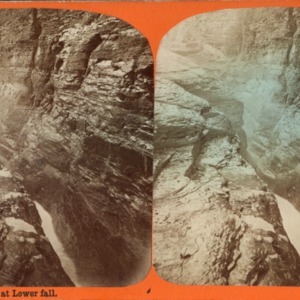 A stereoview card featuring the Middle Falls Letchworth Park, New York. View no longer accessible. 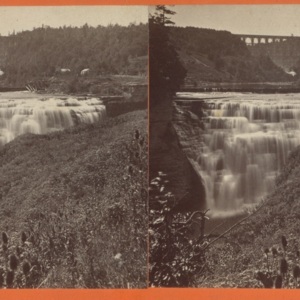 A stereoview card featuring the Lower Falls in the gorge at Letchworth State Park, New York. On front of card: Western New York Scenery. 289 In the Gorge at Lower Fall.